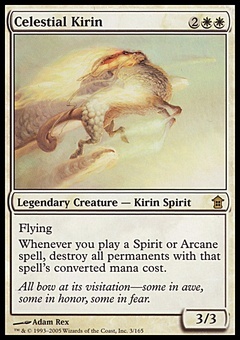 Bitterblossom ($129.98) Price History from major stores - Judge Gift Program - MTGPrice.com Values for Ebay, Amazon and hobby stores! 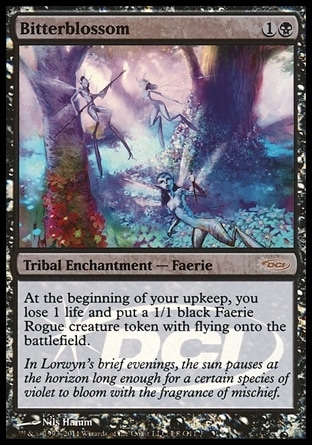 Card Text: At the beginning of your upkeep, you lose 1 life and put a 1/1 black Faerie Rogue creature token with flying onto the battlefield. 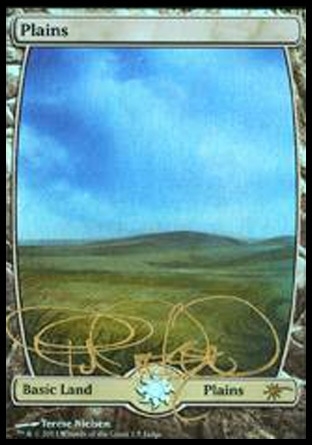 Flavor Text: In Lorwyn's brief evenings, the sun pauses at the horizon long enough for a certain species of violet to bloom with the fragrance of mischief.